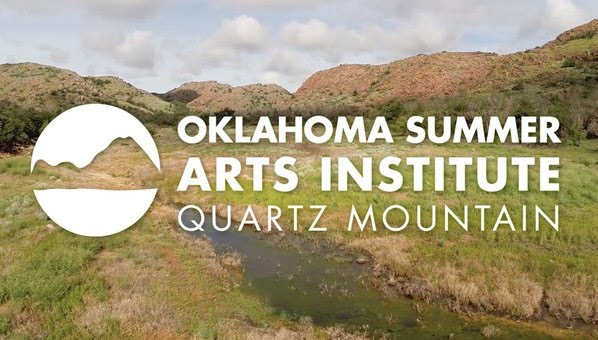 Encourage your students to apply for the Oklahoma Summer Arts Institute (OSAI) at Quartz Mountain. OSAI is currently accepting online applications and scheduling auditions for the state’s premier arts academy for high school students. Held June 9-24, the program is taught by nationally renowned artists and offers instruction in acting, chorus, creative writing, dance, drawing and painting, film and video, orchestra and photography. Every accepted student automatically receives a full scholarship to the program. Auditions will be held through February 17, with scheduling now open at oaiquartz.org. Auditions will be held in 11 cities across the state: Altus, Alva, Ardmore, Bartlesville, Edmond, Enid, Idabel, Oklahoma City, Owasso, Tahlequah and Tulsa. Accepted students will spend two weeks studying with award-winning faculty from across the United States. Former OSAI faculty members have included winners of the Pulitzer Prize and the Academy, Emmy, Grammy and Tony Awards. This year’s faculty includes Pulitzer Prize winner and United States Poet Laureate Tracy K. Smith, who will give a public presentation and work with creative writing students as a guest artist. Other faculty artists include André Tyson, a former principal dancer and company teacher with the Alvin Ailey American Dance Theater, and printmaker James Bailey, co-founder of the annual Day of the Dead Steamroller Print Project. To attend OSAI, applicants must be enrolled in an Oklahoma public school, private school or home-school program and must be 15 years old by September 1, 2018. Graduating seniors are eligible. For more information about OSAI, including audition requirements and scheduling, visit oaiquartz.org.